Motiv: Cherry blossom in Bonn city center. GERMANY, BONN - APRIL 07: Each year attraction for tourists from all over the world. The cherry blossom in Bonn city center. 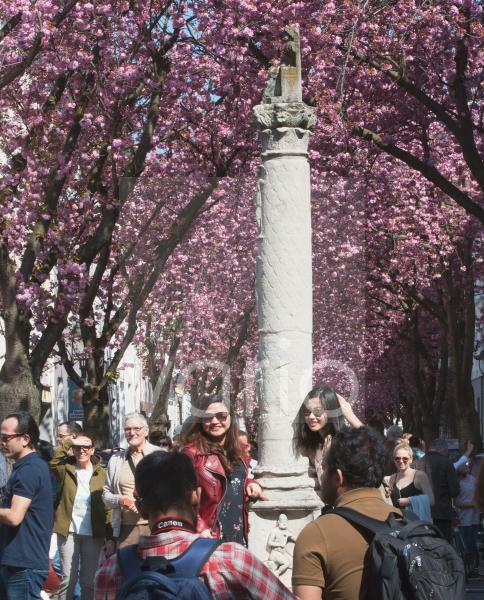 Japanese tourists (female) posing at a Roman Jupiter column from the 3rd century AD in front of the flowering trees.